We would like to introduce you to Mold Makers International "MMI" which is a Windsor based Turn-Key supplier of high quality low cost plastic injection molds, fixtures and automation . We have Combined our experienced North American engineering and management capabilities with carefully selected powerful low cost manufacturing partners for molds and fixtures in China. MMI has several Joint Venture partners in China whom are ISO certified and GM approved. We exclusively represent this tooling capacity in the USA, Canada and Mexico. MMI has full time program managers in China that were trained in Canada with our systems and standards. We manufacture prototype, low volume and production molds for press tonnages ranging from 300T to 4000T. 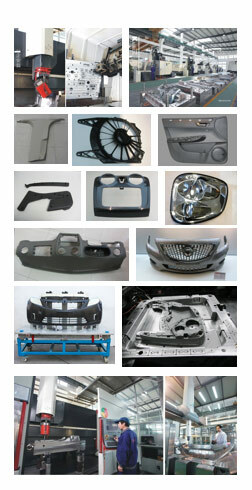 MMI specializes in plastic injection, compression and multi-shot molds for the Automotive sector. Our organization includes manufacturing of low cost checking fixtures, end of arm tooling and automation. Our International tooling company has extensive experience in the importation of low cost tooling . We have the resources in Mexico, Canada & the USA to finish and qualify the tooling, to perform local engineering changes and to carry out all warranty work. We welcome a chance to meet or even have a phone call to show you how we can reduce your organization’s tooling costs while maintaining the highest of standards.